We’ve all heard the age-old saying, “A picture is worth a thousand words”. 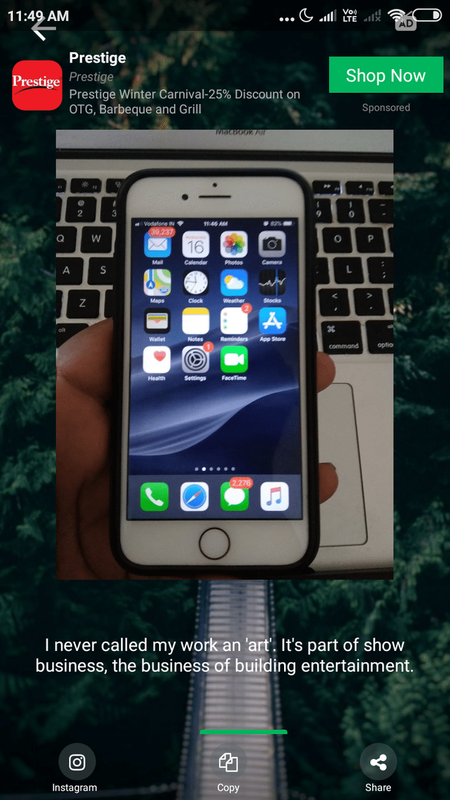 But in the age of Instagram the proverbial saying needs some tweaking… A picture on Instagram is worth a thousand words when accompanied by a compelling caption! Caption Expert lets you choose captions from various categories. 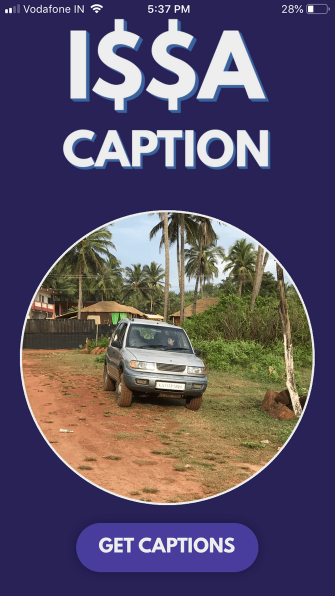 Caption Expert compiles the top captions and also comes with a section for new captions. 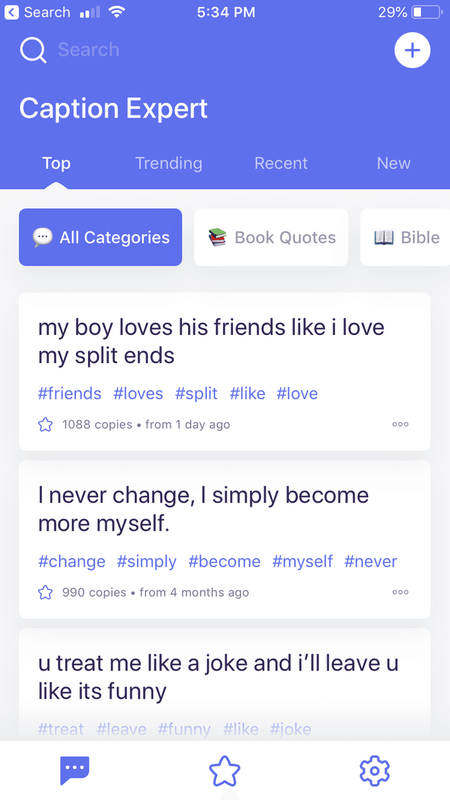 The app offers the following categories: Book Quotes, Bible, Inspiration, Quotes, Fun Facts, Shower Thoughts, Lyrics, and Feelings. 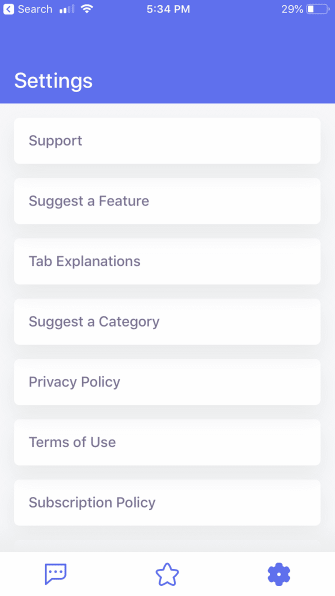 The Caption Expert app also allows you to add your own captions, set favorites, and suggest a new feature to the developers. 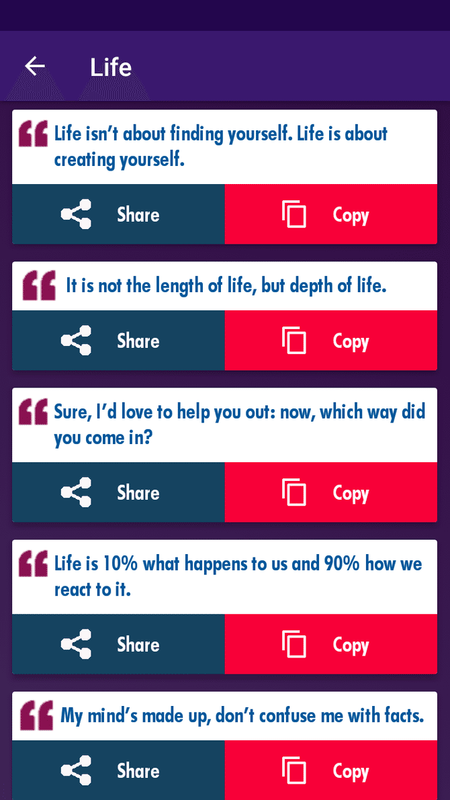 So the next time you run out of witty captions or thought-provoking quotes, Caption Expert comes to your rescue. Captiona’s USP is letting you manually search for captions. All you need to do is punch in the keyword and search for the caption. 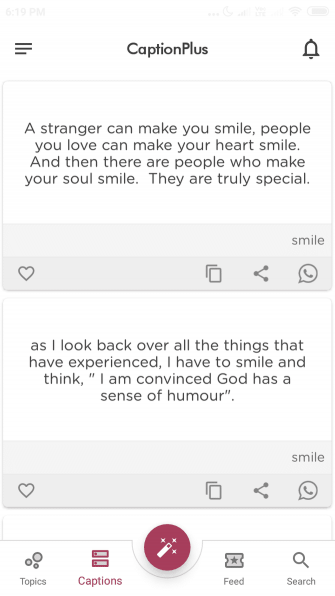 For instance, if you search for “inspiration” then the app will fetch all the inspirational captions from its repository. That being said, Captiona lacks categorical menus, and doesn’t let you add your own captions. 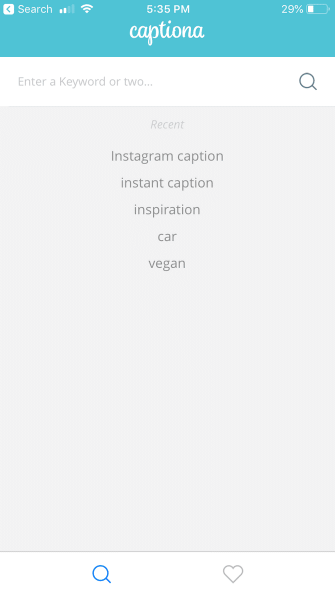 Captions for Instagram offers a neatly laid out caption menu which is further divided into categories. As a bonus, the categories are exhaustive in nature. 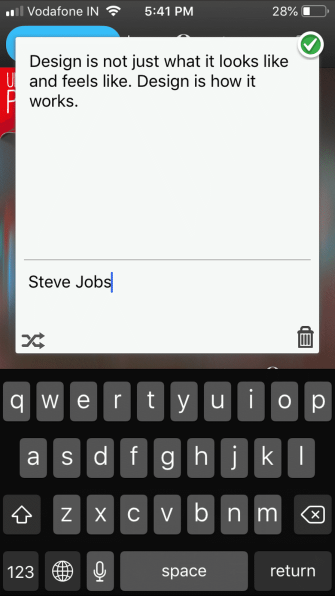 The best part is that you can favorite and download the captions in the form of a “.txt” file. Captions for Instagram lets you toggle between the Latest and Popular captions. 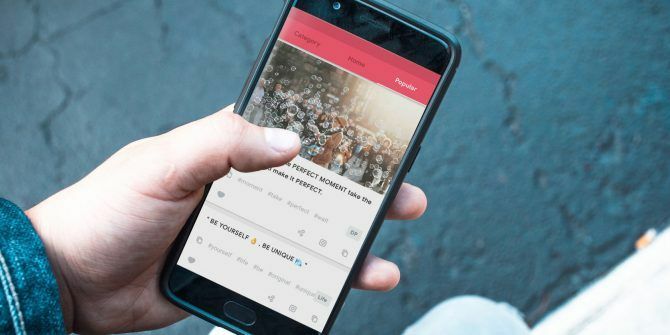 In a nutshell, the Captions for Instagram has you covered, be it for manual caption submission, for direct caption sharing, or for the exhaustive set of categories that deserve a shoutout. Issa Caption uses machine learning and an inference engine to find the best caption to go with your image. All you need to do is upload an image and the app will figure out the rest. 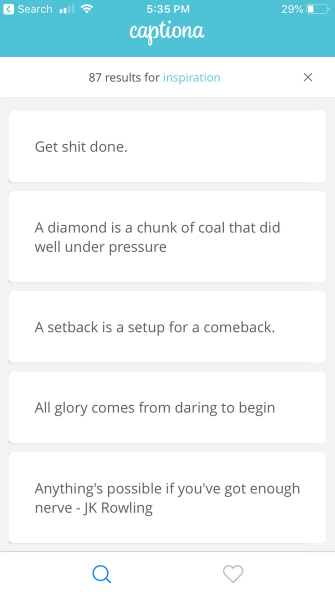 Once your photos are scanned, Issa generates hip-hop lyrics. Interestingly the app uses a credit system called Guap. 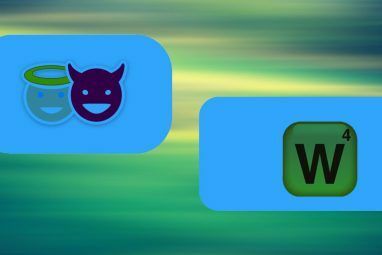 You can earn more Guap by watching video ads, and this helps the developers earn revenue. Image Quote is a handy app that helps you with image quotes. 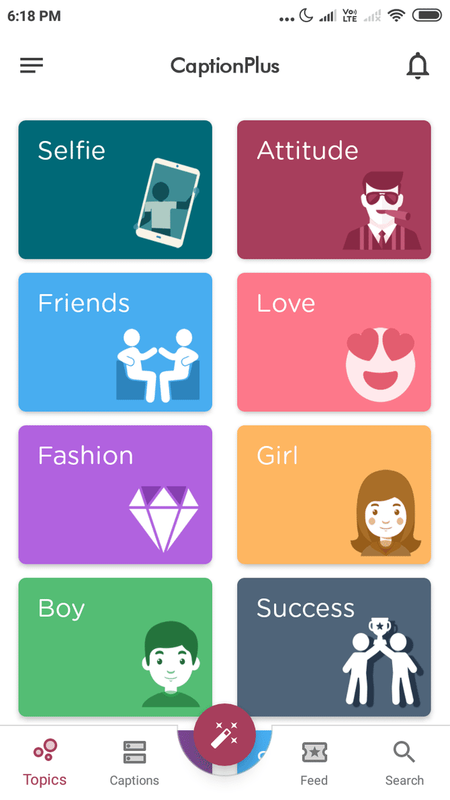 This app allows you to add words to photos and share your thoughts on Instagram. The text box lets you add quotes alongside the author of the quote. 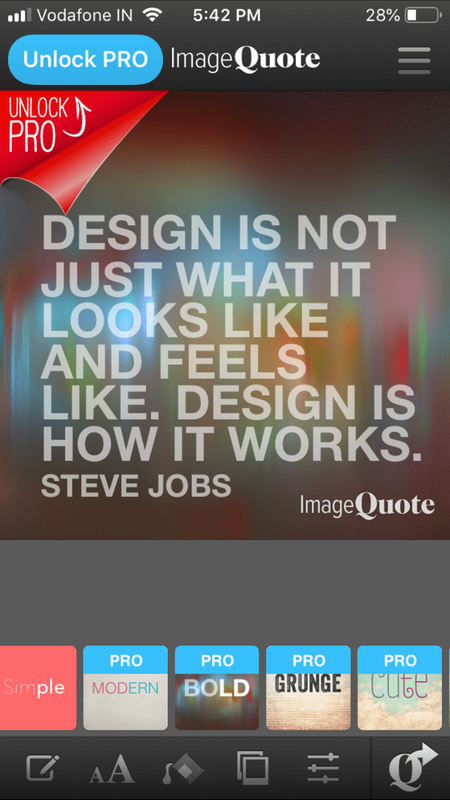 Image Quote offers plenty of well-designed templates and backgrounds. You can also choose custom backgrounds by uploading your own photos. That apart, Image Quote also offers other tools like Font Selection, Hue Adjustment, Brightness, Contrast, and an ability to blur the background. 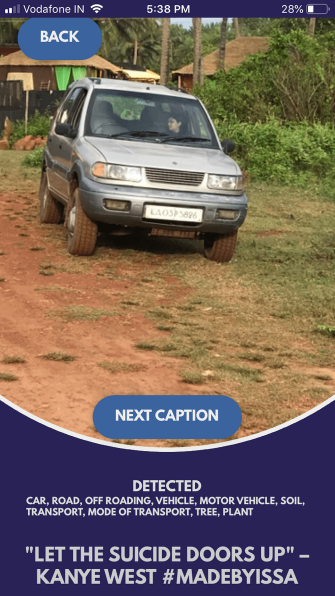 Capshun is yet another app that uses image analyses to generate captions and hashtags for photos. 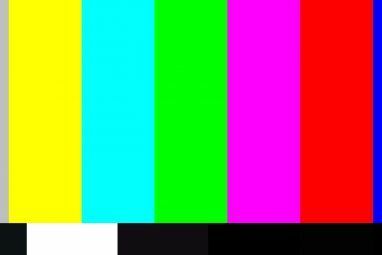 The user interface is straightforward and all you need to do is upload a picture and the app gets to work. Capshun allows you to use live pictures, browser photos with file manager, and upload photos from the Photo Library. The captions are further divided into relevant categories and can be directly copied to the clipboard. 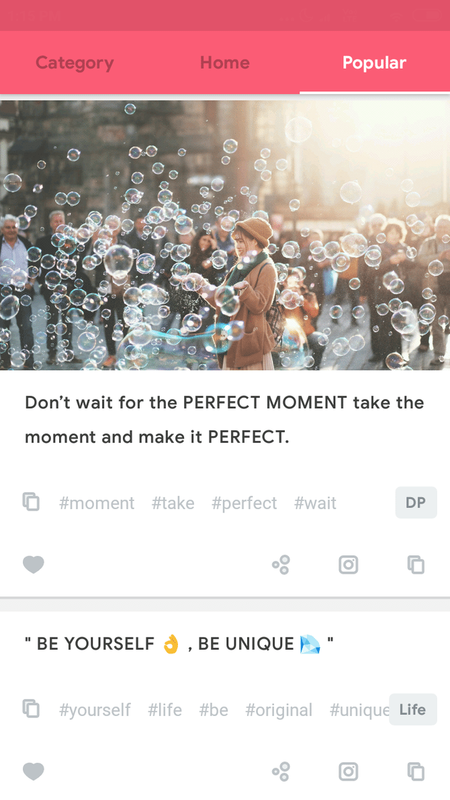 CaptionPlus is a good way to spruce up your Instagram posts and increase their reach. 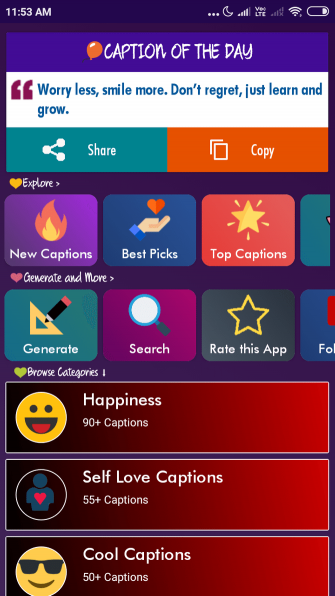 The CaptionsPlus app offers four main menus: Topics, Captions, Feed, and Search. 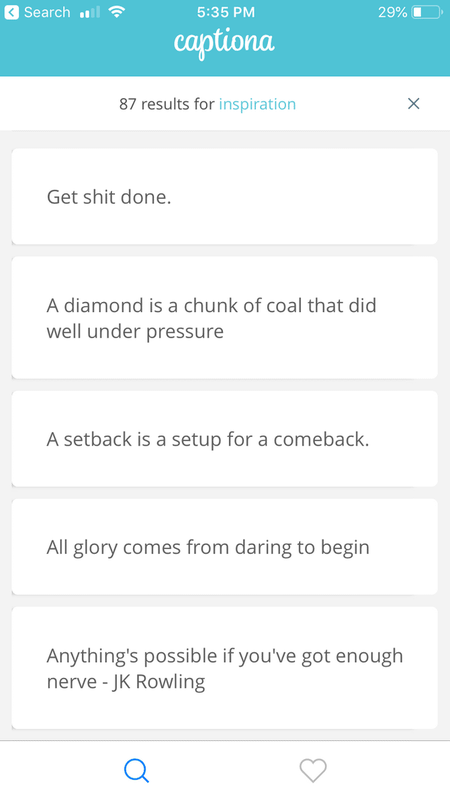 Topics section lets you dive deep and choose captions from the topics that suit your taste. Caption section features a curation of captions across various categories. 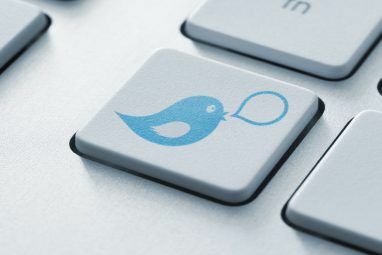 The Feed section is integrated with WittyFeed and here you will be able to access quirky news that is currently trending. Lastly, the Search section lets you manually search for captions. Captions for Photos 2019 offers a great mix of captions across different categories. 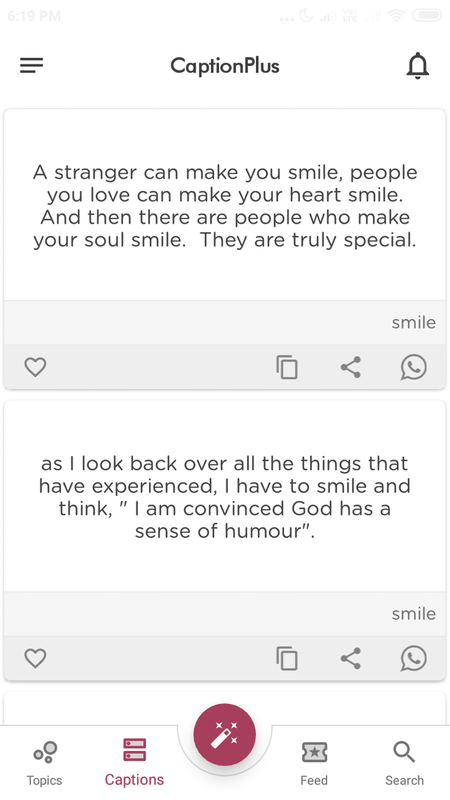 The app offers captions for a wide variety of topics like Happiness, Self Love Captions, Cool Captions, Funny Captions, Inspiring Captions, and many others. I particularly liked “Caption of the Day” section and the ability to search for captions. 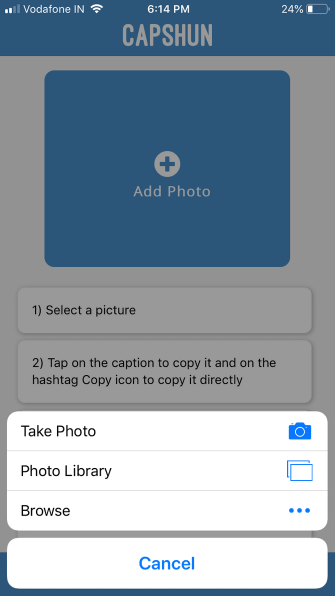 Captions for Photos 2019 lets you copy and paste the captions and directly share to Instagram and other social media sites. 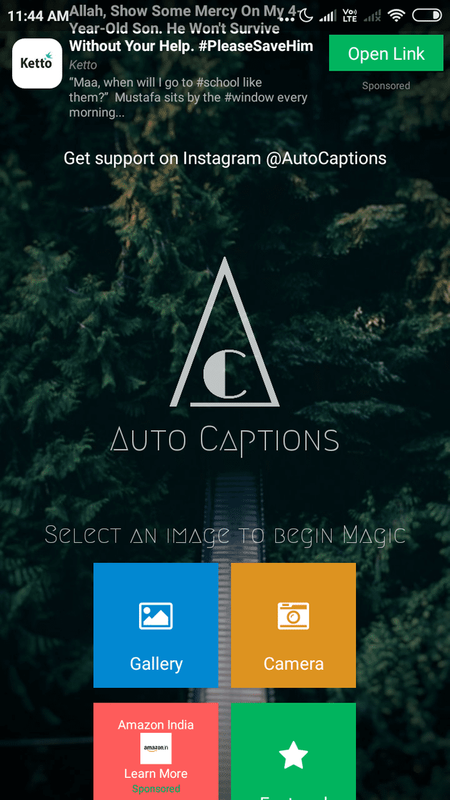 Auto Captions will help you find the best captions for your pictures. This app is backed by AI and lets you choose images from your Gallery and Camera. Once the image is uploaded, the Auto Captions app generates the caption and lets you share it on Instagram. As a bonus, Auto Captions also populates relevant hashtags and offers an impressive set of stock pictures for image quotes. 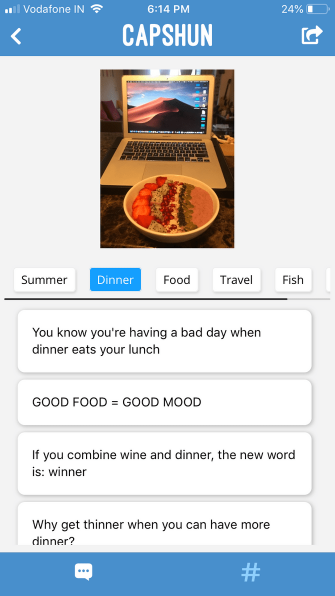 Story Captions is an app specifically designed for captioning Instagram Stories. 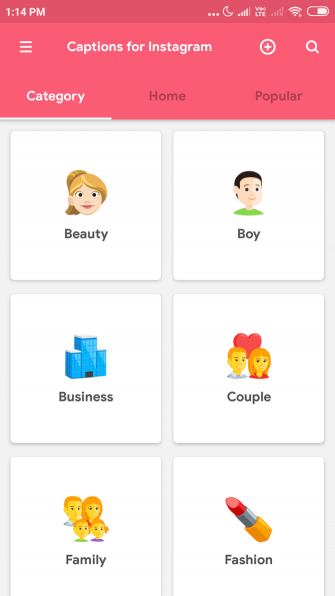 Unlike other apps, Story Captions doesn’t offer categories, and this makes it a little more difficult to search for the captions. While it’s important to begin with great-looking shots, images are not all that matter on Instagram. The captions used alongside them often leave a lot of room open for interpretation and this can help increase engagement levels. I personally use quirky captions to spruce up my Instagram and add some spice to otherwise bland photos. If you want to spruce up your Insta pictures here are some tips to make your Instagram pictures stand out. Instagram is often flooded with similarly themed images, and captions are where you can gain an edge on the competition. Moreover, captions will aid in adding clarity to the picture. And before we wrap up, here are some tips on how to make the perfect Instagram profile How to Make the Perfect Instagram Profile How to Make the Perfect Instagram Profile Want to create an Instagram profile that stands out and gets lots of followers and likes? Follow these simple steps to start killing it on Instagram! Read More to aid you in your quest to become Insta-famous! Mahit Huilgol is a Mechanical Engineering graduate and is a Technology and Automobile aficionado. He ditched the corporate boardroom wars in favor of technology battleground. Also, a foodie by heart and loves both the edible chips and the non-edible silicon chips.